You have just gone through one of the most stressful processes your body will ever go through. Your body has gone through significant changes during pregnancy and after birth. It is definitely not ideal to engage in diet restrictive weight loss programs during the early days of motherhood. Remind yourself that the weight did not come on in a day;it will take time to lose the weight you’ve gained. You will need all the additional energy and nutrients to meet the extra requirements of feeding and generally looking after your baby. 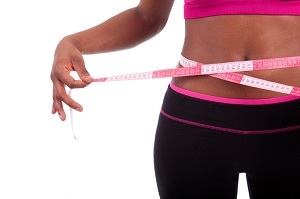 Lose your weight and get fit gradually. Do not use fat burning pills to get the baby fat off. You need to lose weight and tone up through natural methods. Fitness regime after delivery should include the right amount of exercise along with healthy food habits. Before embarking on your new fitness plan, ensure you talk with your doctor first, discussing when to start, what to eat, and what limitations you have for your situation. Do not try to exercise too much, too soon, as this will ultimately damage your health. It is generally recommended that women wait up to two months before exercising properly. At first, try methods such as going for walks around the neighborhood with your baby in a stroller. You may then begin a regime consisting of simple leg stretches, as well as exercises specifically targeted to tightening the pelvic floor muscle. Sit-ups and planks will also target the abdomen and help you regain strength in your stomach and back muscles and ultimately helping you gain a flatter stomach. Try to work out for about a half an hour each time, aiming to do this around three times a week. It is important to make getting fit after pregnancy fun, so shorter, resistance training exercises can be enjoyable. Relentlessly lifting weights at the gym is monotonous, grinds you down and can end up being counterproductive. Among the best exercises to include in your weight loss regimen are jogging, walking, swimming and playing sports such as tennis and volleyball. Start with the right diet. Eat balanced meals and snacks with low fat and sugar counts. Don’t skip meals. Skipping a meal will lead to snacking and eating more at the next meal. Eat frequently. Eat several small healthy meals frequently throughout the day. Drink plenty of water. It’s recommended that you drink at least 10 glasses of water daily. Water will flush toxins from your system and keep you feeling satisfied a full between meals. If you’re breastfeeding, breastfeed as long as you can. Many mothers find it easier to lose weight while breastfeeding. You can easily burn up to 500 calories daily while breastfeeding. Adequate sleep is essential. Hard to do with a new baby, but if you sleep when the baby sleeps it will help. Sleep deprivation de-regulates the hormones that control appetite and signals hunger to your brain. For the last 9 or more months you have been caring for your baby. Now it’s time to shift some of your attention onto yourself. Give yourself some time each week to do something for you. You’ll get your body back and also feel healthier, giving you more energy to help with caring for your new little one.